Being mother, dog owner AND renter of houses means that I am constantly aware of the carpet. Winter is a bad time because it means that every single time the dog leaves the house, I have to clean his feet on the way in so that he doesn’t get mud everywhere. Despite being the clumsiest member of the house (or perhaps BECAUSE of this…) I am constantly worrying about spills and potential stains because it could mean that we lose the deposit we paid when we moved in. There are obviously gradients of spillage, in terms of how neurotic they make me. Water? Lemonade? Even white wine? Meh, totally dealwithable. Obviously no spills are ideal but anything which is clear or lightly coloured is far less of a stress. Then there’s the other end of the spectrum; tomato sauce, red wine and, dare I say it, vomit. These are the things of which nightmares are made when you’re a mother, dog owner and renter of houses. I must admit, I got chills watching that glass of red wine go SPLAT onto the carpet, but I was genuinely impressed at how well the stain was removed. Having said that, I shouldn’t be hugely surprised; I recently had my hair bleached to a very light shade of blonde and if you’ve had platinum hair, you’ll know that the best way to avoid it looking brassy is with a purple shampoo. And if you’re as unlucky as me, you’ll also know that this shampoo will stain pretty much anything it touches, and if you leave the lid off it WILL leak out onto your cream bathroom carpet…AHEM. Anyway, we just so happened to have a container of Dr. Beckmann Carpet Stain Remover handy and it absolutely annihilated the stain; you can’t even see that there was a mark there in the first place! Obviously, the important lesson there was make sure you replace the lid on your very colourful shampoo, but it’s really nice to know that we’ve got a back-up if I ever have a similar calamity! 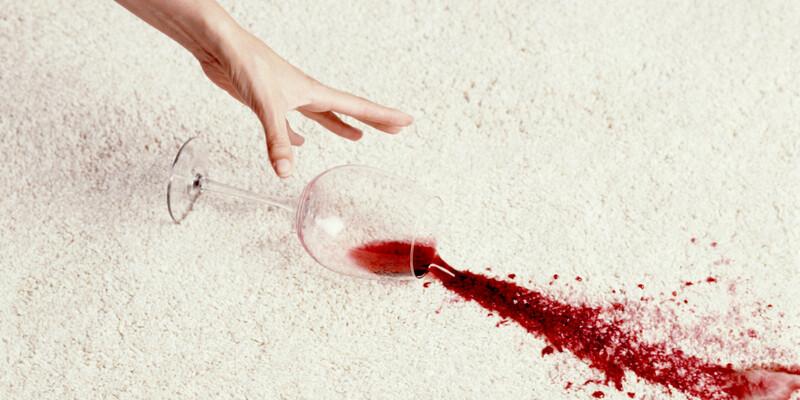 Have you ever had a carpet disaster? What’s the thing that you DREAD getting on your carpet the most? Are you also a devotee of Dr. Beckmann products like me? Do leave me a comment below.